Posted by Navin Wlliams, CEO MobileMeasure Consultancy Ltd, Shanghai, China. Editors note: Navin is known as a leading expert of mobile market research and has been posting his forecasts for a few years and kindly shared his 2014 forecast with us. 2013 was a year of consolidation of the market in the mobile space. 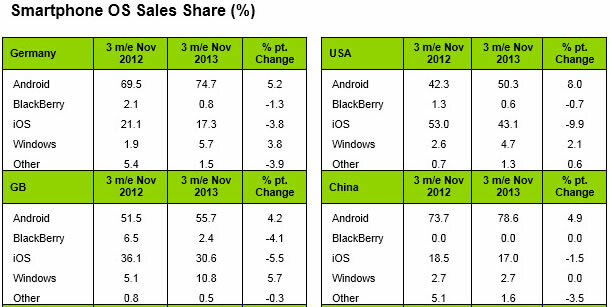 With Android settling into its leadership position and Apple’s iOS having a relatively good year too. The other operating systems have largely fallen by the wayside. With mobile finally settling the fight with online and finally being recognized as a tour de force too, it’s a good time to put on my soothsayer hat and share my vision of how 2014 is going to pan out. In last year’s post I talked about Android dominating the mobile landscape and eventually by getting prices down to a sub US$100 mark make analysts relook at the Feature phone and Smartphone definition by the end of 2013. This has not really happened as we still have these definitions widely in use. However no one is obsessing over these definitions as it is well recognized that the formerly dominant Feature phones are a dying breed. From a competing set point of view the only recognized feature phone is Nokia’s S40 series which are now restricted to just the existing installed base, can only lose from here on as Nokia by adopting and then being sold to Microsoft becomes a Windows phone led platform. Other than the S-40 feature phones, the other feature phones in the market, dominated by the proprietary systems built by Chinese manufacturers disappeared overnight as they didn’t need to develop their own OS to save license costs, but could adopt an established OS in the form of the Android. So not only did Android eat into shrinking Nokia OS share, but the other feature phone OSs and the other dying OSs like Blackberry as well. Android closed 2012 as the No. 1 player and in 2013 they helped grow the Phablet phenomena. And though in 2013 the Android Tablet share did grow, it’s their Phablets that got much more airplay. In 2014 expect to see Android phablets to dominate the landscape and in turn help them grow the share of Android Tablets as well. come up with any serious ground breaking innovations. Screen size: Apple has long maintained that the size of their screen was optimum and anything bigger will get too big to handle. They did however reduce the frame area and grow the screen diagonally larger. This however paled in comparison with the competing phone manufacturers churning out significantly larger screens and bringing to the fore a whole new category in “Phablets”. Low Cost Phone: to be fair, Apple did bring out the 5C, which is US$649, which for most of the world is not exactly “C for Cheap” and still keeps it in the premium smart phone bracket. This phone though did not set the market on fire, it definitely went a long way in keep its Smartphone share up. Innovation: Apple built its persona around product innovation, however in 2013 we haven’t seen much of it. Though wearable technology which syncs to your iphone has been talked about for a while now, the iwatch never materialized. In 2012, Apple was a dominant force in the Smartphone market, in 2013 they fought valiantly and maintained their position in key markets but also lost share to a rampaging Android in 2013. In 2014, they will have to address all three issues of Screen size, Low Cost and Innovation or will it be the year that they lose a lot of the shine they have built around themselves. Will Apple play by the conventional rules or look to reinvent themselves and the industry as they often have in the past? While 2013 was labeled as the make or break year for Nokia and Windows, 2014 is going to be mend and grow. If you take away the declining numbers of the final years of Nokia and look only at Windows as a Greenfield entry they have done admirably well in 2013. With the buying out of Nokia by Microsoft, it becomes the second non hardware technology company after Google –Motorola to enter the mobile hardware arena. Though currently in the Smartphone market, Windows has done admirably well by being the third player often edging out Blackberry or a close forth behind Blackberry. 2014 is when we can truly evaluate its performance. In 2014 we can expect a flurry of launches of new models at multiple price points and screen sizes. Coupled with the formidable marketing arm of Microsoft and the former Nokia teams, expect them to at least double their market share across markets. A couple of years ago, Samsung was the challenger. Today, they are dominating the manufacturer’s sweepstakes trying to keep the other manufacturers at bay. After having introduced the Phablet with the Note phone series, they have grown the category exponentially and dominated it as well. In 2013 they showed that they are not just riding on Android and large screens to dominate the market place. They introduced the Galaxy Gear which included a watch phone with the top end Samsung Galaxy phones purchased. The much talked about iWatch in the blogsphere seems to have been missed by Apple and was picked up and dished out by Samsung instead. So Samsung is looking to take the lead in the innovation stakes to create a persona all its own. The Samsung Galaxy gear smart watch may turn out to be more of an interesting gimmick than a serious utility tool, but it’s too early to call. In 2014 we can expect Samsung to continue to dominate the Smartphones especially the Phablets, larger screens and with their Galaxy Gear added to their arsenal, they also have a serious differentiator. On the not so bright side, of all the manufacturers Samsung has the most to lose as they like Nokia before them play across the price and product spectrum. They should have a tough year but hold onto their leadership position. The highlight of 2013 for BB was the announcement of its all new Blackberry 10 OS which was delayed constantly and when it finally got launched was a little to late and didn’t introduce anything innovative to retain anyone’s attention. So from living dead to dead dead, is where BB finds itself. Though to be fair to them they still have a large corporate business stuck at the hip and for many of these corporates wanting to migrate their secure mobile systems moving to another system is a tough choice. Something like self-amputation vs. rebuilding the Pyramids – both tough decisions. Many have bitten the bullet and others are still building plans. So there’s still an opportunity for BB to revive itself. If we saw the Chinese manufacturers coming of age in 2013, expect 2014 to be their graduation party. The biggest impact is going to be from the Chinese manufacturers with the likes of Huawei, Lenovo and ZTE all making both affordable and top end Smartphones for the global market. Taiwanese manufacturer HTC is a fallen star hoping to revive their fortunes. And there are the Indian manufacturers who until now were content with the Indian market are getting ambitious and looking for foreign shores as well. Expect at least 2-3 of the top 5 manufacturers to be Chinese manufacturers in 2014. It would be pretty safe to assume all 5 will be “made in China”. Accidents Happen: If 2012 was for probing and experimenting, 2013 saw the term accidental mobile research being coined. Accidental mobile research is research which takes place from a mobile phone but is meant to happen online. And enough of these accidents happened for online survey providers to take notice and tweak their online surveys to identify if a user was indeed trying to fill out the survey from a mobile phone and therefore should see a more mobile friendly mobile rendered survey. However this did not really help as these may have been rendered for mobile but were not designed for mobile. They were designed for online and force fed on mobile, though it was within the confines and legible on the mobile screen. This is borne out of the bench mark tests done across online survey providers showing a consistent pattern of mobile exceeding online survey completion times by 50%. So while this number makes me very unhappy, from an industry point of view maybe it’s a point to rejoice as it’s a step ahead from “mobile is too small” to acknowledging that surveys need to be rendered appropriately for the mobile phone. In 2014, expect to see surveys designs to be mobile specific. A question is asked, which is answered via a drag and drop online, while the same question is answered using taps and selections on mobile enabling the times to be close or match when done either on the mobile or online by the survey respondent. More Than a Talking Point: I was recently at a Qualitative conference (not a Mobile Market Research Conference) in Singapore and I noticed that only 2 speakers in the entire 2 days could get through without referring to Mobile in their presentations. Many like myself, presented specific mobile cases and examples. I actually spoke on the first day and a lot of what I was presenting was mentioned or covered before I came into speak later in the day. And often on most conferences I speak at, either I am the lone speaker (or niche) on a mobile topic be it a mobile or any other Research conference. Expect more informed discussion on the same in 2014. Norms: One of the biggest barriers to entry often for research products and services is norms. Expect this to be re-evaluated across providers, as mobile is another animal. We will get different results as the context for mobile data makes the data different. So it’s not that the consumer is lying or the world has changed so much, just that mobile can contextualize a survey and give results that also differ. For instance when we do a pantry check survey on mobile, we request they go to the pantry and upload a picture as well and then fill the survey giving added insights from the mobile picture as well. The same survey done online though it had the option to take a photo and upload, no one did it as it was too cumbersome. Most in fact didn’t even visit the pantry and reported on memory. So eventually at the broad level (key brands) we got the same results, however it was the things that got left out in the responses of the online survey were the most revealing in the study. One of the additional insights was that some product packaging (like cereal boxes) was too big for standard pantries of the target group we were seeing a lot of when conducting the research. Wearable Tech: 2013 saw Google Glass and other wearable tech like Samsung Galaxy Gear Smart Watch make headlines and showcased across the world. In 2014 expect both these technologies and other similar ones to penetrate more and more lives of consumers. As researchers we will get a ring side seat to the numerous market research applications and how the smartest (or fools) of us dives into it to extract the insightful gems that we all seek. Messaging Apps: SMS is in decline, that was the big story of 2013. This came as Messaging Apps like WeChat and WhatsApp thrived. Though WhatsApp was the pioneer, it has taken a back seat to the innovative copy cat being WeChat. Not only did WeChat copy WhatsApp (or can you call building another messaging app as truly copying? ), either way they didn’t stop there. They made it bigger and better, growing to 700+ million globally at last count. In 2014, expect more and more market researchers to dive in enhance the power of market research via mobile messaging Apps. Youth: While the benefit of grey cells is never in doubt, especially in a knowledge industry like market research. In Mobile Market Research youth is a huge scoring point, with even non technical kids wield a mobile like it were putty in their hands. In 2014, go engage and learn from the young who are using the mobile intuitively as an extension of themselves and not as a device to be used – it’s part of them. Go forth and mobilize. Enjoy your 2014! 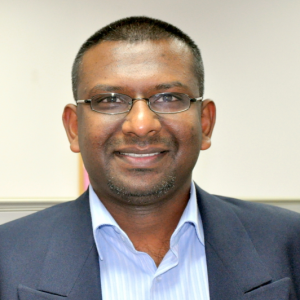 Navin has close to two decades of experience spread across Market Research, Technology, Media & Telecom sectors. Having worked with the top global agencies spread over 4 countries and 2 continents; he’s had the opportunity to be part of MR technological adoptions over the years in diverse developing environments. Navin has spent the better part of the last decade on new media technology and his quest to drive Mobile adoption in Market Research led him to form MOBILEMEASURE CONSULTANCY. A pioneer in mobile enabled MR, Navin is widely regarded as a thought-leader in the evolution of digital technology in MR, he has written a number of Whitepapers and is a frequent speaker at industry conferences. Recently he was involved in the designing and writing of the curriculum for University of Georgia’s Mobile Marketing Research course and is currently working on a book on Mobile MR.
Did you forget about the Xiaomi phenomenon? I think they are going to crush all feature phones and turn everyone into smartphone users. The Xiaomi phenom is part of the Chinese contingent. they have a good model which is similar to the Google phones. They launch their phones online and sell out millions within a few hours. However almost all their focus at the moment is China. While the others have stated global ambitions and budgets to back it. Having said that Xiaomi can decide to push for global growth as well. Look at the market in two parts China and the rest of the World. If you want to do well : any one of the markets is enough, if you want to dominate you need to be in both.